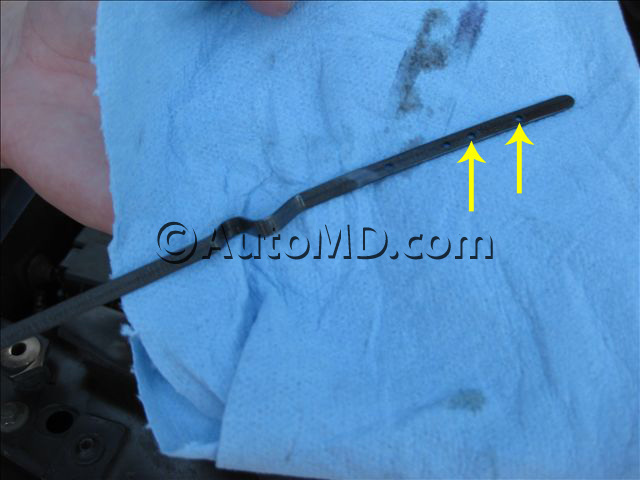 Open the vehicle's hood and locate the transmission fluid level dipstick. 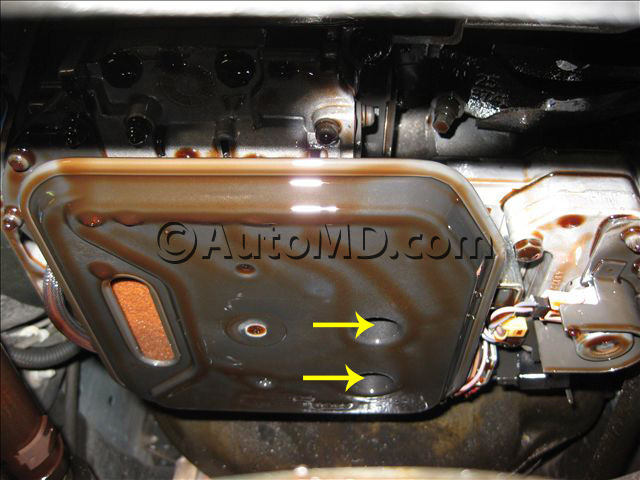 Check the level of transmission fluid while the vehicle is running. Make sure the vehicle is parked on a level surface. Make sure the transmission fluid is warm. 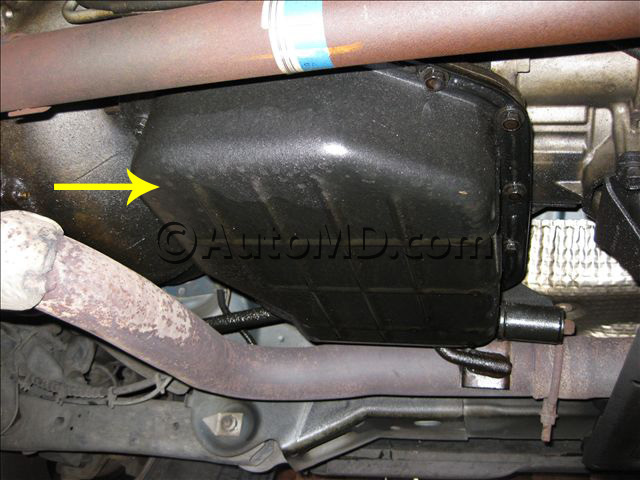 Place a drain pan under the transmission. 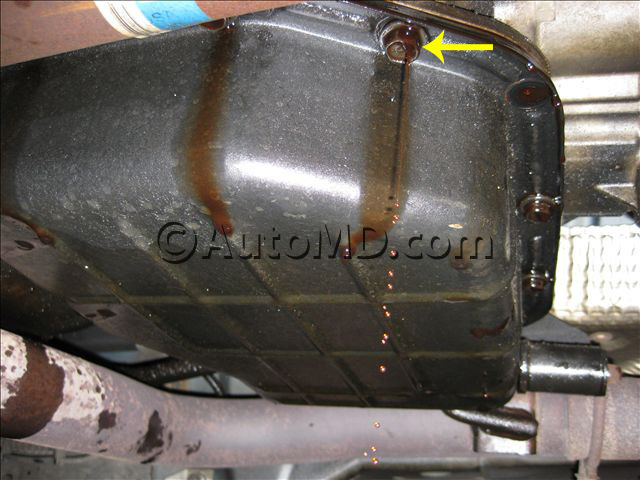 Make sure the drain pan is larger than the transmission pan, as fluid will drain from all edges. Break loose the transmission cover bolts but do not remove. Starting at one end, remove half of the transmission pan bolts. If the pan is stuck to the gasket, insert a flat blade tool such as scraper between the pan and the gasket and pry them apart. 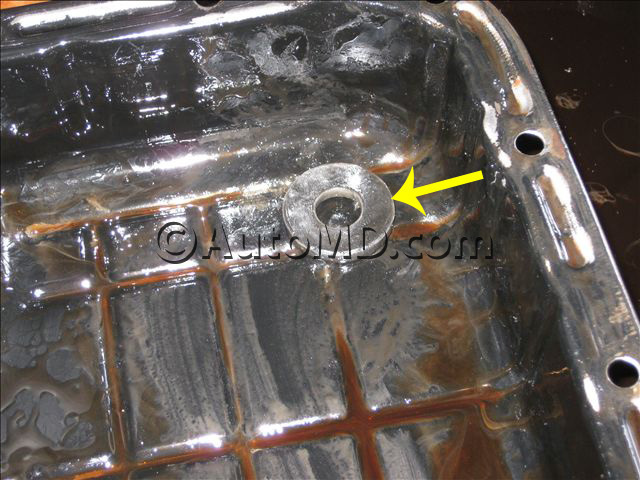 Take care to not damage the gasket sealing surfaces. Look at the fluid after it has been drained into the pan. 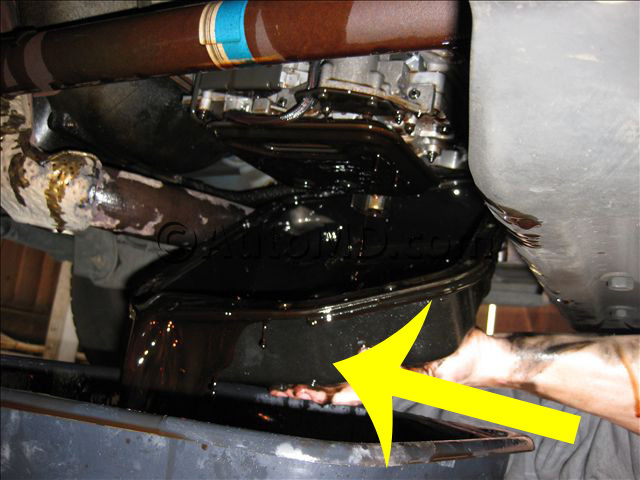 If there are metal particles at the bottom of the pan and floating in the fluid, this is considered as normal (slight amount) and does not indicate the need for a transmission overhaul. Clean out all debris from the pan; metal particles or flakes, proceed to changing the filter and adding new fluid. 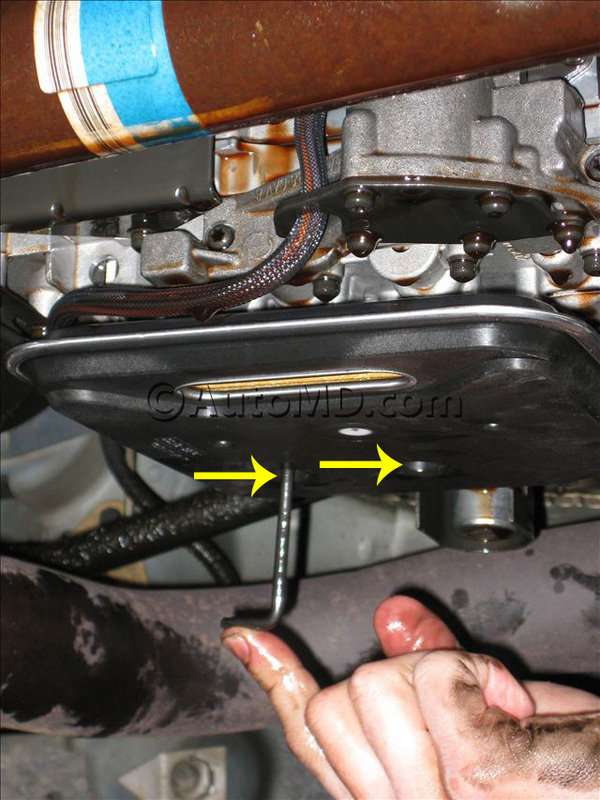 Remove any of the gasket material that may be stuck to the pan or transmission. Remove the transmission filter mounting screws. Remove the old filter. Install new filter. Torque the mounting screws to manufacturer's specifications. 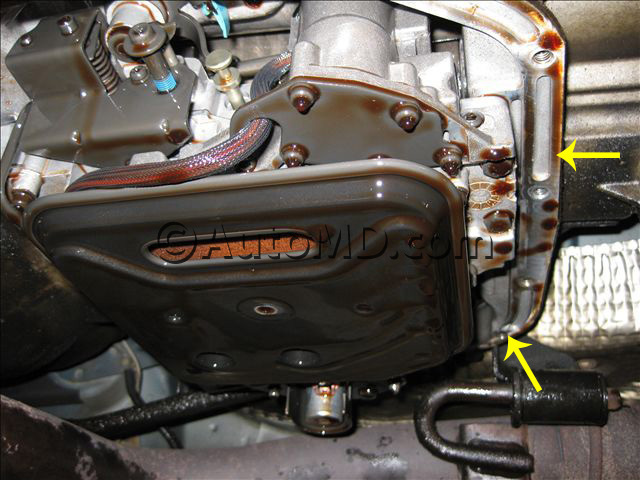 Apply sealer and install the new gasket onto the clean transmission pan. Press the pan against the transmission and reinstall all the screws to hold the pan in place. Torque screws to manufacturer's specifications. 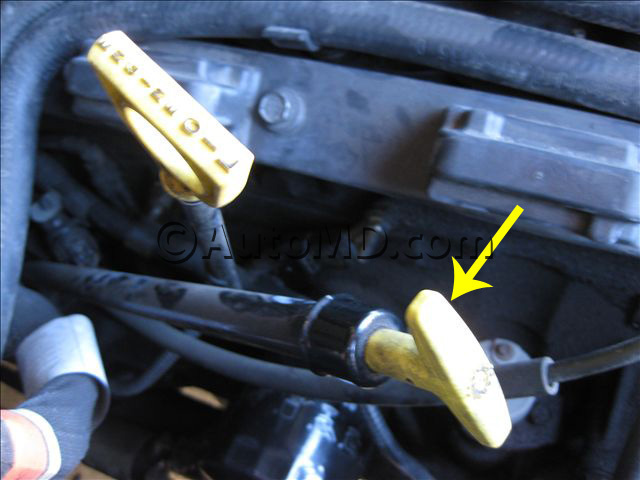 Insert a clean long neck funnel into the transmission dipstick tube. 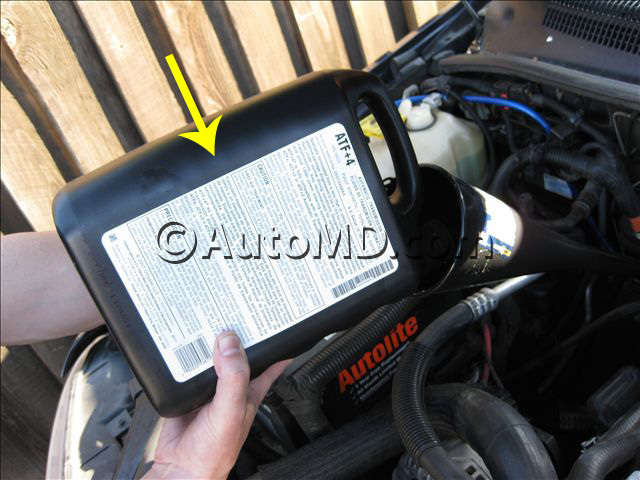 Add three quarts of automatic transmission fluid (ATF). Refer to your vehicle owner's manual for the recommended type of fluid. Start the engine and check the fluid level on the dipstick. Add fluid if necessary.